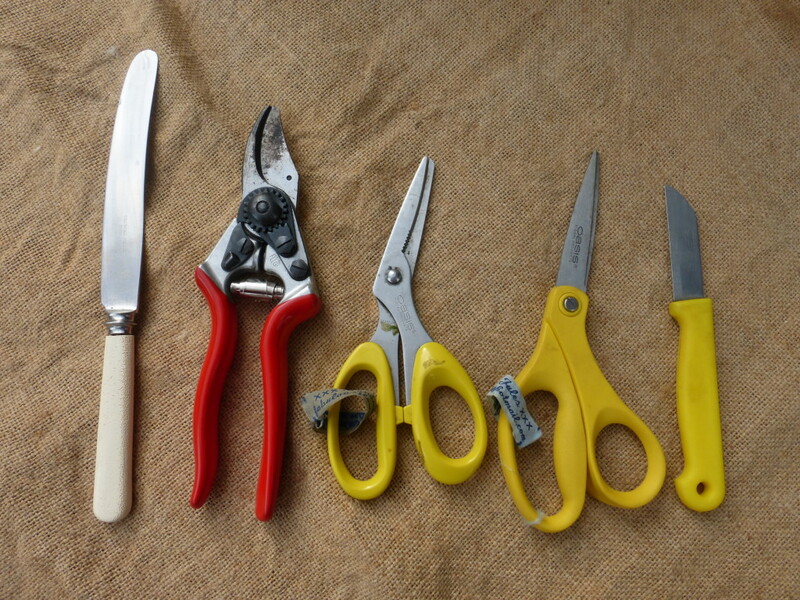 What’s in your flower arranging tool box? For starters I’ve got two pairs of scissors, secateurs, and two knives. Why two pairs of scissors? Well I suppose it’s always reassuring to have a spare, but actually one pair cuts better than the other. Want to know which one? It’s the expensive ones. 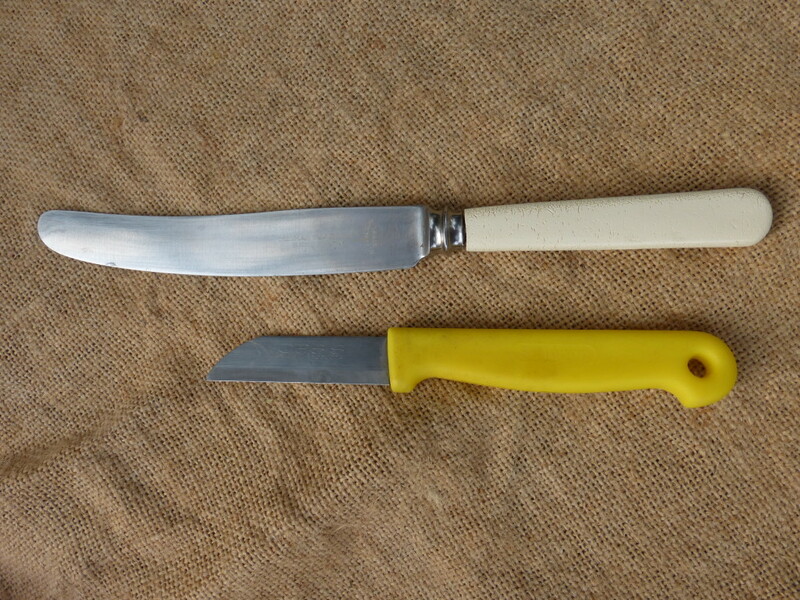 With their distinctive yellow handles both sets are made by Oasis and have a groove at the end for cutting stub wires. The ones with the curvier handles (on the left) are more heavy duty. Just look at the second pair. These seem to need tightening* every time I put them down. 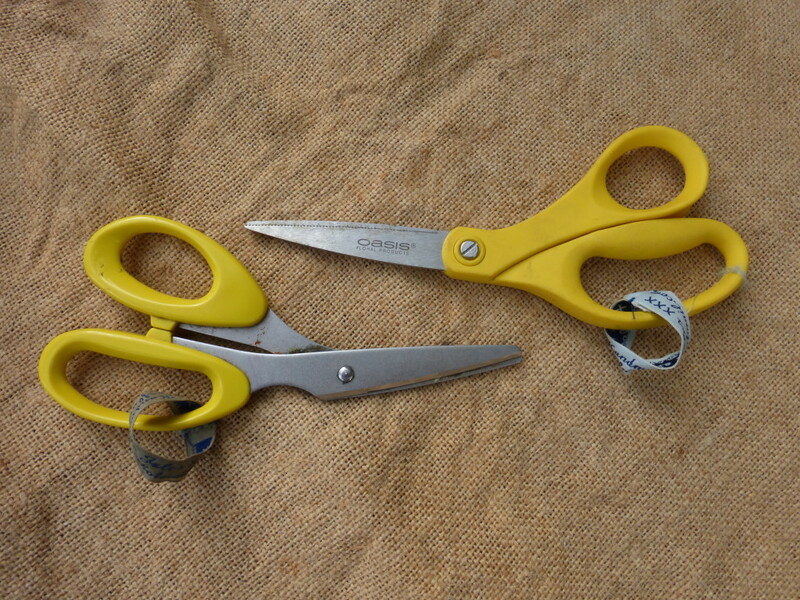 When I started flower arranging ten years ago I just used a pair of kitchen scissors. 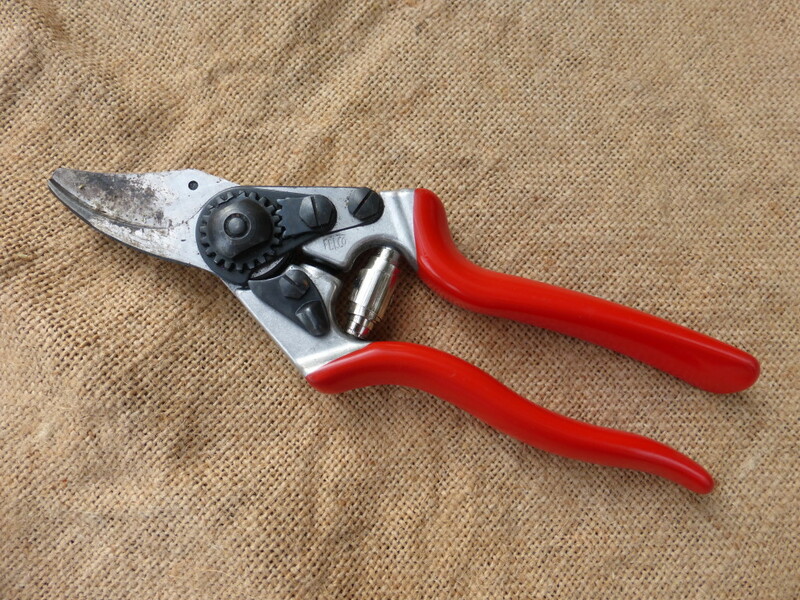 Did you know that if you cut bulky flower stems with regular scissors, the metalwork just sort of collapses and buckles in your hand? 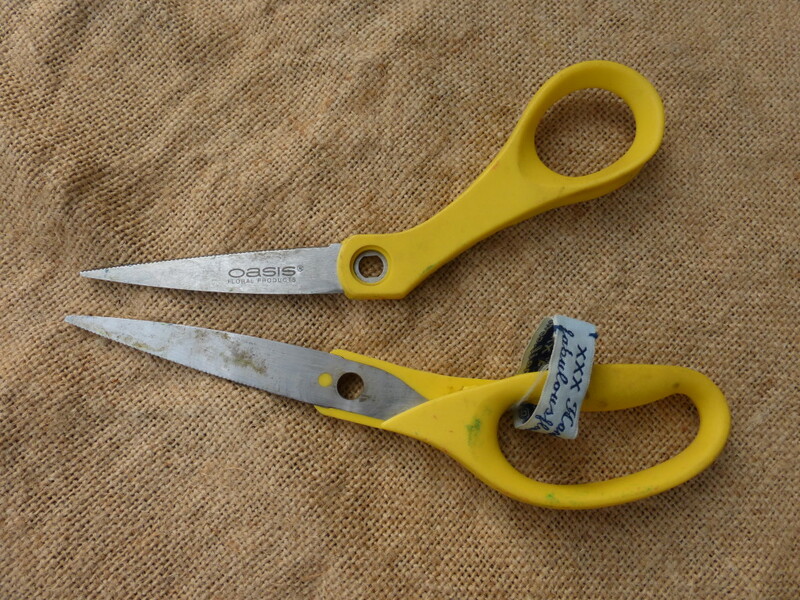 Top tip: buy scissors designed for the job!